Ugh, where's that stench coming from? Either somebody opened a stale crypt... or a box of moldy comic books. Yes dear reader, these covers from horror anthology All Kaidan are so potent that their smell of death, terror and madness penetrates the computer screen. So enjoy your last breath of fresh air, cup your hand over your mouth and let's proceed into the vault. 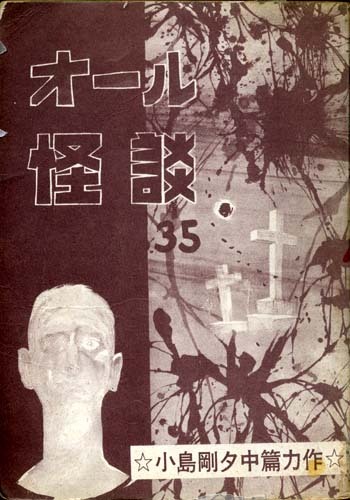 All Kaidan began terrifying readers in 1959 with Edo-era ghost stories alongside modern-day tales of murder, revenge and the occult. Its evocative titles give EC Comics a run for their money--"The Swamp Master," "On Dead Wings," "Dig the Grave Deep!" --with art from big names in the hard boiled gekiga genre that include Hama Shinji, Kago Shinichi (Eko Eko Azarak), and Kojima Gouseki who was posthumously admitted into the Will Eisner Hall of Fame for Lone Wolf and Cub, Samurai Executioner and other samurai-sploitation works of human drama. Paper was scarce during the post-war recovery, making books--even pulp fiction--a valuable commodity. Publishers organized a system for kashihon, or rental books, where shops would buy titles to lend out for a fraction of the cover price. The scheme created a comic book bubble that burst once paper prices fell in the late 50s, allowing libraries and newsstands to push kashihon out of the market. 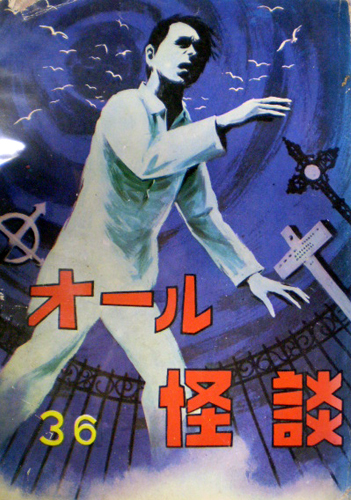 All Kaidan held on for 87 volumes before giving up the ghost in 1967. 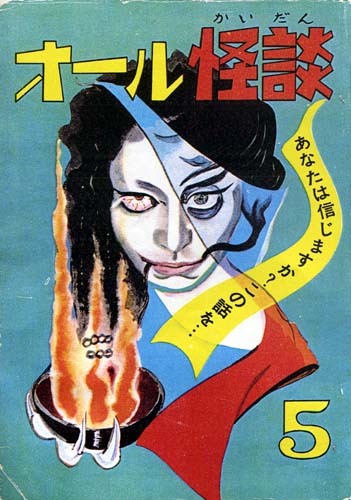 Some of the authors continued to draw gekiga, while many jumped onto the next trend--horror comics for girls, a genre mash-up pioneered by Umezu Kazuo. 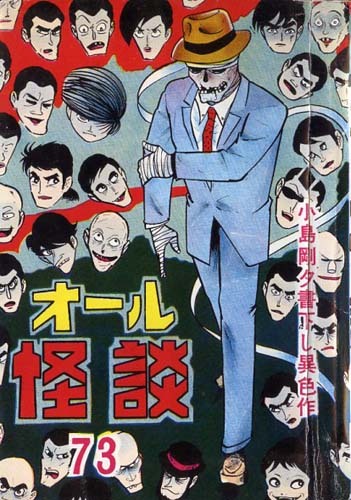 At the same time Umezu's unofficial rival, Mizuki Shigeru, rekindled the nation's interest in Yokai and other urban boogeymen with Gegege no Kitaro. The stories of All Kaidan were ahead of the curve but riding with a business model trapped in the past. Due to the disposable nature of kashihon few copies survive today. You may be able to find issues of All Kaidan on the Japanese secondary market albeit with prices more frightening than the content. There are also a few odd volumes that haunt the stacks of the National Diet Library. Good luck in your search, but be aware that in 1997 a different publisher launched a magazine under the same name. The difference in quality is truly gruesome.